The coin market is entering a new phase that is redefining the nature of how the general market views coins. The grading conundrum was always concerned with how dealers and collectors considered the condition of a coin in relation to its “as struck’ originality. What has occurred is that, over time, condition artificiality has been introduced as an acceptable practice to simulate a higher state of condition than in which the coin actually exists. To understand what this means, one needs to understand the minting process and how coinage metals respond to their environment. To illustrate, I will use silver coins, though the principles below can apply to any coinage metals. Silver (Latin: Argentum; numismatic ally abbreviated AR), appears in virtually all coinage systems throughout history. It is not easily combined with oxygen and thus will stay in its original state unless it comes in contact with sulfur or a sulfur compound, usually in the form of a gas. The patina found on silver coins is a microscopically thin film of silver sulfide acquired from long contact with sulfur sources in paper, cardboard albums or canvas bags. An alloy is not a chemical combination, but mixture of two or more elements, one that must be a metal, that are mixed in a liquid state and are bound together at a solid state below their melting temperatures. Coinage silver is almost always alloyed with copper, and this metal is far more reactive, and may be responsible for the depth of patina often seen on silver alloyed coins. The rainbow toning seen on some original, toned coins is a prism effect caused by light reflecting and bending off the surface of the coin. The deeper the sulfide penetration, the darker will be the coin’s apparent color. The apparent colors will be graduated depending on the depth of penetration. In the pre-machine age, coinage blanks (planchettes) were heated to just before their melting temperatures and struck between dies on an anvil to create the metal flow necessary to fill the die and impart the die’s design. In the first half of the 17th century machines were introduced that created enough pressure, and therefore heat, to create metal flow. The collar was also introduced to prevent the planchette from expanding beyond its prescribed diameter. In 1838, the steam press was introduced in the United States, and this technology increased the striking pressure as well as the speed of minting. The heat generated by a coin press literally melts the planchette for a fraction of a second. As the metal flows into the recesses of the dies, catalytic heat and oxygen in the air combines with the surface of the newly minted coin. 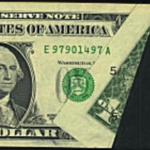 A clear oxide film includes oxygen trapped from the moment of the creation of that coin. The effect of metal flow also creates tiny radial lines that emanate from the coin’s center to the rim. 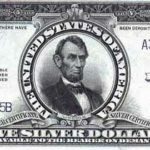 Flow lines are essential to the presence of mint luster and are responsible for the cartwheel effect on U.S. Silver Dollars. In the absence of wear on the high spots of a coin’s design, the existence of unbroken flow lines defines mint state condition. 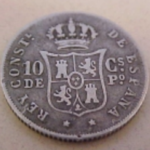 There has always been a great deal of coin tampering in the form of mechanical and chemical cleaning and polishing, but generally, important, rare and gem coins had been left alone. 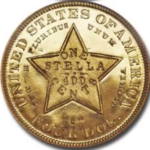 A great deal of damage was done to the stock of rare coins during the 1980’s and 1990’s when the prime movers in the coin market were investor oriented collectors that were impressed by modern issue coins and wished that antique coins shared the same appearance as the ubiquitous and plentiful non-circulating Legal Tender issues. The presence of patina seemed to be anathema to these non-traditional collectors and many pedigreed and ordinary pieces were stripped of their oxide coatings with chemical dips. Many pedigree pieces can no longer be identified because their surfaces have been removed. The brightening agent most employed, and in rampant use today, is coin immersion baths that contain thiourea (thiocarbamide, CH4N2S) in combination with a weak organic acid such as acetic, tartaric or citric acid. This chemical bath will remove sulfides from most silver coins rendering them white. This chemical also removes the top layer of the coin’s surface, and after multiple dippings will reduce the presence of flow lines and therefore the coin’s mint luster. After three or four immersions, a mint state coin technically grades About Uncirculated (AU). Non destructive techniques are useful if they remove material that is on the surface without removing the original surface. 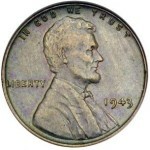 Some examples are techniques that remove PVC (polyvinylchloride) from decaying soft coin flips, dirt and fertilizer from coins found underground and coral growth on coins found under the ocean. Other techniques enhance the look and apparent grade of a coin but are identifiable by expert examination. These techniques include reingraving design details, spraying a powered aluminum and glue mixture on the design features of a coin to simulate mint frost, and repairing holes and damage to legends. So many coins have been altered, and standards for acceptance for grading have depreciated to a point, that altered coins are now routinely encapsulated by the major grading services, maybe because the rejection rate would strongly affect their bottom line. Recently, at a local show, I was a shown two boxes of recently graded Morgan and Peace Dollars. All were graded MS 63 but all had been dipped or treated in some way. All had luster breaks, but a minimum of bag marks. They had that cold look that often is the signature of heavily dipped coins. One can find more examples of this trend. I think this will spread to all of the most commonly traded material. The consolidation of grades will change the way dealers and collectors buy and sell coins. The grades from AU-MS63 will define coins with problems, either in the number of natural defects or in the coin’s artificiality. Original coins, that qualify, will inhabit the upper grades. As this trend continues look for greater price spreads between the grades MS 64 and above, in relation to the AU++ grades.